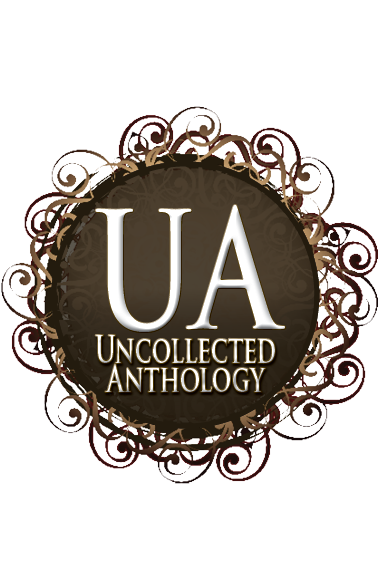 The Uncollected Anthology series is indeed an oxymoron. Sprung from the minds of seven fabulous authors who love fantasy, short stories, and each other’s writing, the series’ main goal is to bring you quality urban fantasy fiction. 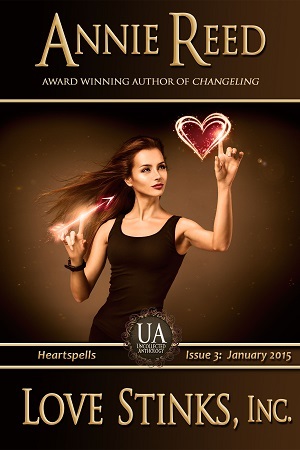 Uncollected Anthology: When you can’t get enough of the stories you love. 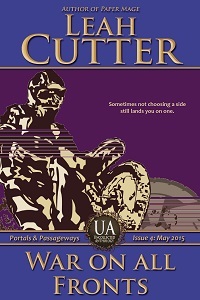 The Uncollected Anthology stories are available at your favorite e-book retailer. She tells fortunes for a living like her mother before her. She’s just another working stiff, but don’t mistake her for a con artist. Her magic is real. She’ll read your tea leaves or your aura, or predict your future from a deck of cards. Just don’t insult her, and above all else, don’t threaten her. Because remember – her magic is real, and she knows how to use it. Hadley, a 27-year-old golf ball diver (by day) and electronic DJ (by night), travels over a hundred miles on two hours of sleep to save her younger (by 37 seconds) brother’s rear on a school field trip to the Oregon Coast Aquarium. He’s the teacher, not a student. Punk hadn’t reached out to her in over a year, but figured it was the new dad thing that had distracted him. Their playful reunion turns murky when a run-through a humpback whale exhibit flips Hadley’s world upside down. Visions. She sees visions in the whale’s music. Under water visions of past disasters. Or are they the future? Thousands of lives depend on Hadley. To save them, will she have to sacrifice the love of her brother? Pearl’s greatest magical gift? Knowing exactly what someone needs before they do. Opening up a magic shop seemed like the perfect way to help her use her gift. Carol grew up with the carnival and its attractions. Like the fortune teller: Madame Fortuna. Now Carol runs carnivals and their employees, including Madame Fortuna. When the screaming begins, Carol doesn’t need a fortune teller to predict trouble. She can do that all on her own. Fixing the problem, however, might take a magic touch. Little Charlie Nobody fights to survive on dangerous streets. No one cares whether he lives or dies—and he comes close to dying more than once. Each time he hovers between life and death, he not only sees the future, he enters it. He doesn’t understand how it happens, only that it feels real. And that it must be some kind of magic that makes it possible. He falls in love with the wonders he sees, the people he meets, and even the trouble he finds. No one captures his heart more than Sunday Sloan, who wields the kind of magic that others would kill to possess. He wants nothing more than to become part of her world. Will magic allow him to leave his own time and remain in hers? If you enjoy urban fantasy filled with wonder and darkness, you’ll love Fight or Flight. 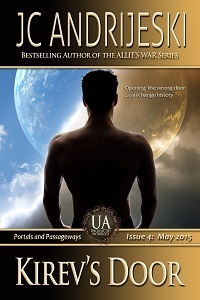 Fight or Flight is a stand-alone story set in the SOUL FORGE series and is a prequel to the novel NIGHT AWAKENS. Widowed Penny ponders selling the beautiful Victorian home she and her late husband shared. After all, the yardwork is more than she can handle…this spring, it looks as though the forest is encroaching. And when myth and magic collide with urban development, who will win and who will lose…and who will get caught in the crossfire? Beth died at seventeen, helping to save the world. Her boss, Malek—the serpent from the Garden of Eden in human form—brought her back. She hasn’t been the same since. She can’t recall the details of her death. The missing memory haunts her. When the supernatural creature who killed her hunts her down once again, Beth must face the mystery of her death head-on. If she can’t solve the puzzle of her hidden memory, she may lose something infinitely more valuable than her life. 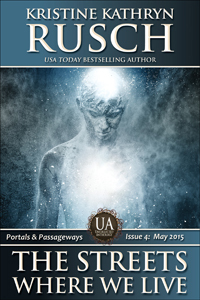 If you enjoy mystical YA urban fantasy with an apocalyptic twist, you’ll love Peculiar Magic. 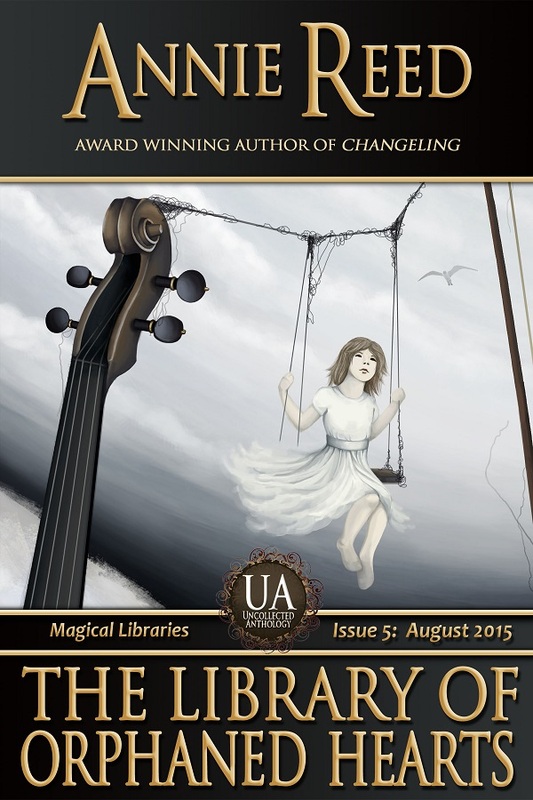 Peculiar Magic is a stand-alone story set in THE FAERY CHRONICLES series. 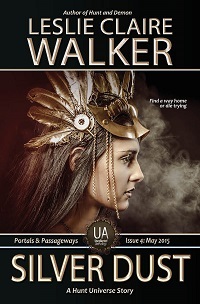 For more FAERY CHRONICLES magic, visit leslieclairewalker.com. Teddy woke up the day after Halloween with the mother of all hangovers. The kind that comes complete with wagging tail and a lack of opposable thumbs. Tabby owns a magic shop that carries just what Teddy needs, but Tabby’s dealing with her own brand of post-holiday hangover. The last thing she wants in her life is another complication. Even if this particular complication has the cutest grin and the most soulful brown eyes she’s ever seen. After a safe life, an inheritance affords George the chance to leap for his dream: his own coffee shop. He even finds the perfect spot: a small, rundown shop. Soon George is planning and polishing. Every day the shop looks cleaner, feels newer. Flaws melt away. But every night strange images haunt him and threaten his sanity. Is George’s desire to run a coffee shop a dream or a nightmare? Tong Yi waits for something to happen—for his brother to return from the war zone, for his boss to trust him again, for his magical training to be expanded. Then powerful wizard Uncle Bei takes him to The Sweet Shop—a magic shop more special and strange than Tong Yi has ever imagined. Tong Yi finally returns to the war zone as well, delivering a message to a client he’d never expected. Why does a two-thousand-year-old djinn own a convenience store and spice shop in Manhattan? The world has changed, for one thing, and Wadid isn’t proud of some of the things he’s done in the past. But really, he loves that he can help the magical community—and enhance the cooking skills and palates of some of his customers. That’s all well and good until two gunmen burst through the front door and threaten him and one of his customers. Wadid breaks his personal code and uses his darkest ability to make them go away. Not that it matters. Because the next person who walks through the door is the last person he would wish for. A mysterious stranger seeks Viv’s help in dealing with a sinister magic mirror, and another stranger arrives when all appears lost. But will Viv herself have the courage to look into Fear’s Mirror? 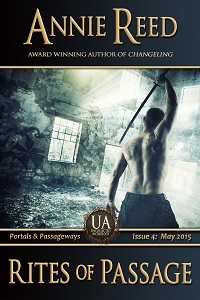 An urban fantasy short story set in the world of the Ms. Pendragon series! Beth embraces her new, immortal life and forever job as apprentice to Malek, the serpent from the Garden of Eden cursed into human form. Neither immortality nor her magical gig changes her essential curious, risk-taking nature. In fact, the power Malek passes to her opens the door to greater risk—and more disastrous consequences. 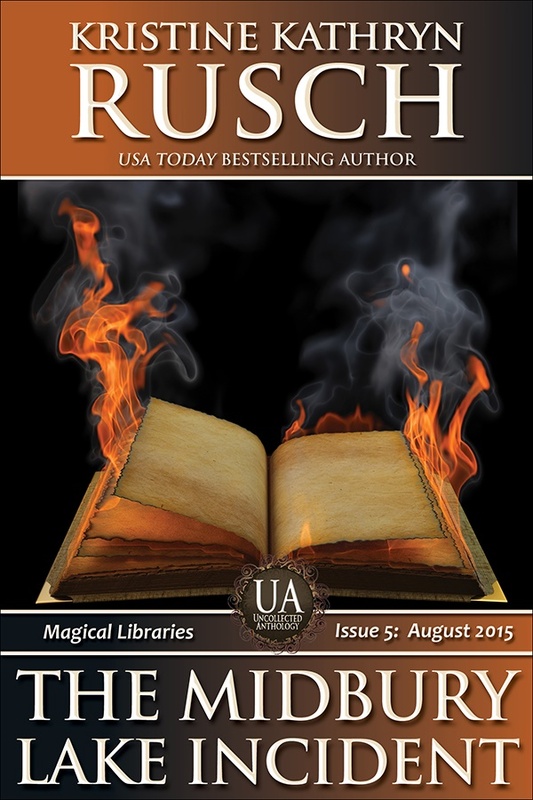 When she takes a short cut with her new magic, she finds herself in Hell—or a hell, anyway. She comes under the watchful gaze of a new enemy—a power of Biblical proportions who offers Beth the chance to buy the one thing she longs for most in her heart of hearts: a true home. The books in Gretta’s library contain something far more precious than words. Something she lost herself in her youth and thought gone forever until a stranger made of shadows and smiles handed her a key and a book she couldn’t read. The books in Gretta’s library can never be purchased, only loaned, and only to those truly in need. The books in Gretta’s library can change your life. If you’re brave enough to ask. Poker Boy specializes in asking stupid questions. But sometimes even stupid questions need answers. To save the fabric of all things from unraveling, whatever that means, Poker Boy must go to the Library of Atlantis and do something that no one ever accomplished before. Poker Boy saves all things. Again! 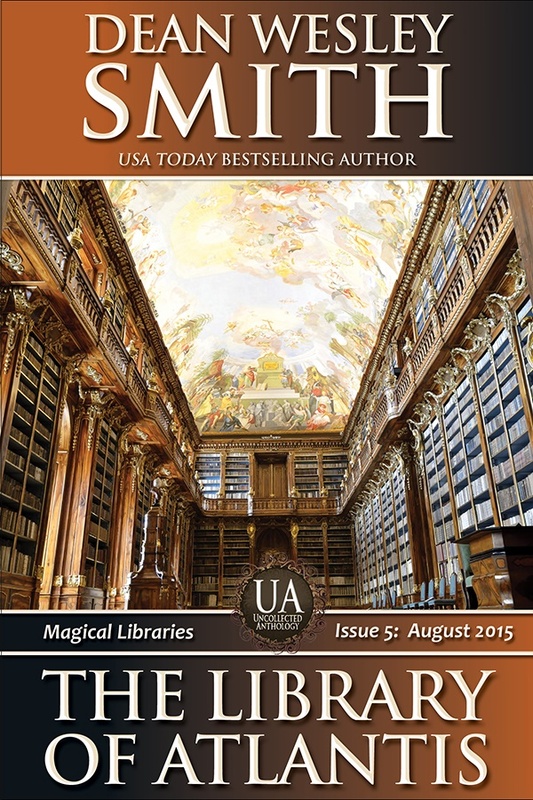 Madeleine works at a secret library beneath the New York Public Library, serving her final magical-juvie sentence. If she keeps her head down and does her time, she’ll finally be free. But when the most prized—and most dangerous books—are stolen, the ancient ones affixed with chains, all eyes turn on her. Because her girlfriend—the girl she thought was her girlfriend—clearly had her fingers all over the job. The Magical Council tells Madeleine to sit tight; they’ll handle it. Madeleine, however, isn’t any good at waiting for someone else to solve a problem. She has to get involved, even if she ends up being found guilty for doing the wrong thing for the right reasons…yet again. Corrie the Cat Librarian leads an orderly life in the strange little town of New Castle, Connecticut. 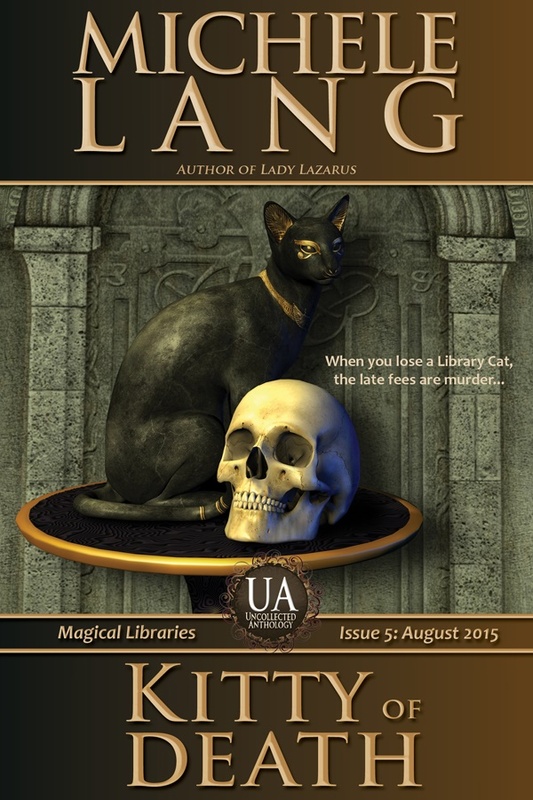 As Keeper of Feline Deities, Corrie lends her cats out to magicworkers who need a familiar to complete their spells. But when Idris, a minor Egyptian deity, goes missing, Corrie and the formidable litigomancer Elizabeth Royall must battle an evil, medieval necromancer bent on capturing death itself. And in the process, Corrie discovers the deadly power of a quiet magic. 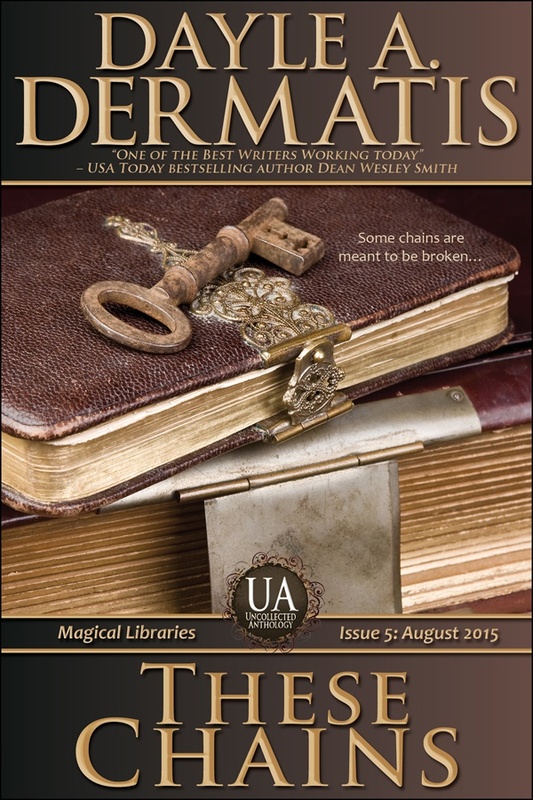 Mary Beth Wilkins knows she made a mistake the moment she sees her beloved library burn. She also knows what she must do next to protect herself and her secret. And although she failed to save this library, she has a more important purpose to fulfill—a magical purpose. If she acts fast. When Chris Garcia reads the magical morning Metro section of the newspaper, one and only one article stands out: a girl named Alice must find something precious she’s lost before nightfall or go to Hell. 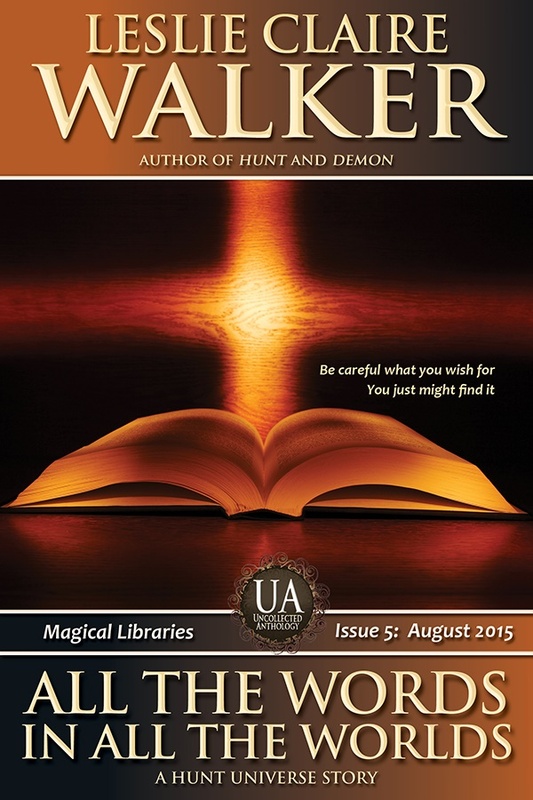 Chris figures his newfound magical skill of finding the lost will save her. Instead, he walks straight into a trap. If he fails to find a way out before the sun sets, he dooms Alice—and himself—forever. Finn guards this world from the monsters from the other side. Slays their servants before they can finish creating passageways into our world for their masters. Important work. Lonely work. Work that killed Finn’s own master when he got careless after too many decades on the job. And Finn’s been doing this work for a very, very long time. When Portia receives a call from an old friend she hasn’t talked to in years, she knows something terrible has happened. But when Portia realizes just how terrible—fifty kids missing from a Chicago theater with millions of dollars in damage left behind—she knows she’ll need backup from her magical sisters. Nothing about this latest case makes sense, magically or otherwise. And when she finally starts to discover the truth, Portia realizes that truth might be darker and more insidious than she ever imagined. Former Hollywood party girl Nikki Ashburne sees ghosts—in fact, many of them are her friends. Okay, they’re kind of her only friends. Most ghosts stick around because they’re happy here and have no desire to move on. So when she encounters a trapped and, quite frankly, batshit insane member of the formerly living, she’s driven to help…even though she hasn’t a clue how. 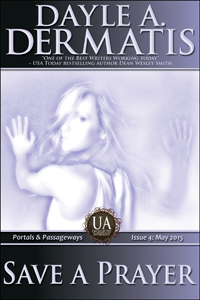 This story is part of the Ghosted urban fantasy series featuring Nikki Ashburne. This novella is a sequel to the story “Dancing with Tong Yi,” which appeared in Uncollected Anthology, Issue 1: Magical Motorcycles. Kirev is a seer. Raised in an alternate version of our Earth, where his people are enslaved under human owners, Kirev joins a resistance army of rebel seers after spending most of his youth in work camps and brothels. He wants to help his people, but during his first mission with the seer rebels, Kirev faces a terrifying new future when a voice from his past intervenes and sends his life into a whole different direction. The Cavanaugh Family is known for banishing the last of the Twelve High Demons of Hell with the help of the magic sword, November. Fifty years later, the most powerful of those Demons escapes its prison and kills the Demon Hunter who imprisoned her. The Demon’s next target—Taylor Cavanaugh, the latest and only Heir to November. But Taylor doesn’t know how to swing a bat, much less a sword. Her family’s failure to educate her about any of its history could prove to be her undoing unless she proves herself the Heir and wields the sword before the Demon known as Abbadon destroys her. It seemed like a good idea at the time.Dyte, the immortal daughter of Cupid and Psyche, started her anti-Valentine’s Day business as a way to get even with her dad after he scared away her first real boyfriend. She just never expected Love Stinks, Inc., to become quite so successful.Successful enough that Zeus wants to give her an official title: Goddess of the Chronically Single. Who in their right mind would want to go through eternity with a name like that?Dyte only has two choices to avoid her dreaded naming day: admit that her dad was right and she was wrong about the whole boyfriend thing (like that will ever happen), or find true love (without the benefit of pointy arrows) before the clock strikes midnight on February 14th. Love Stinks, Inc., is available on Amazon, Kobo, Barnes & Noble, and Smashwords, and coming soon to other popular electronic book platforms. A transplanted Midwesterner, Gunther misses snow and all the winter fun he used to have as a kid. Sledding with his sister on his family’s farm. Warming up in front of a roaring fireplace with a mug of hot chocolate after a rousing snowball fight. All it does in the Pacific Northwest town of Moretown Bay is rain, no matter the season. But when a beautiful, mischievous witch enters Gunther’s life, he’s suddenly faced with more snow than he knows what to do with. Is it possible to have too much of a good thing? 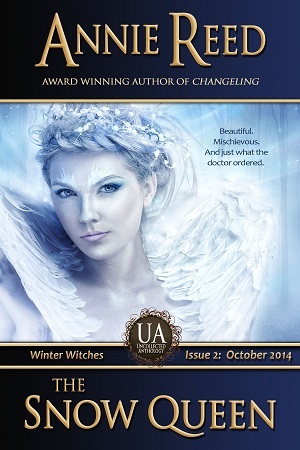 Spells and wishes and childhood memories combine in this magical holiday tale. The Snow Queen is available on Amazon, Kobo, and Barnes & Noble, and coming soon to other popular electronic book platforms. 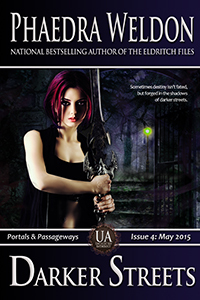 A young elf risks everything to save a magical creature imprisoned in chrome and steel. Twig never planned to return to Moretown Bay. To the makeshift family of misfits and hustlers and working girls she’d abandoned long ago. But when Twig and her friend find themselves fleeing for their lives, she runs to the only person she hopes she can still count on—the dwarf who rescued Twig from the streets and gave her a home. A dwarf with a bad temper and a long memory, and no good reason to give Twig a second chance. The Magic of Home is available now on Kobo, Amazon, Barnes & Noble, and Smashwords, and coming soon to the iTunes bookstore. 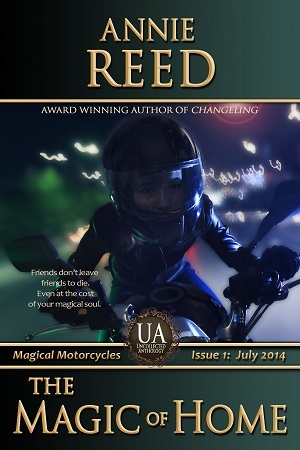 The Amazon author’s page says that you offer a free story (free for a week) every Thursday at http://www.annie-reed.com. I can’t find it. Where should I look? Thanks for pointing that out! While I haven’t done Free Fiction Thursday for a while, you reminded me how much fun I had doing that. So I’ve opened a new page on this site just called Free Stuff just for free stories, which I’ll be posting once a month.